Fusion Taco is a welcome addition to north downtown and Market Square. The new location for Fusion Tacos would mark the latest in a string of high-profile downtown openings along Main Street and Market Square, although it's a bit of an odd choice. Fusion Tacos was one of the first food trucks in Houston but one of the least successful, and hasn't been on the streets in more than a year. The truck was notoriously unreliable (and we're not talking about its engine) and offered fairly poor customer service when it was out and about. Perhaps a brick-and-mortar location will suit the taco-slingers better, though. I heard the owners of Fusion Taco, Julia Sharaby and chef David Grossman (formerly of Branch Water Tavern), were miffed—and understandably so. No one likes negative feedback, after all. 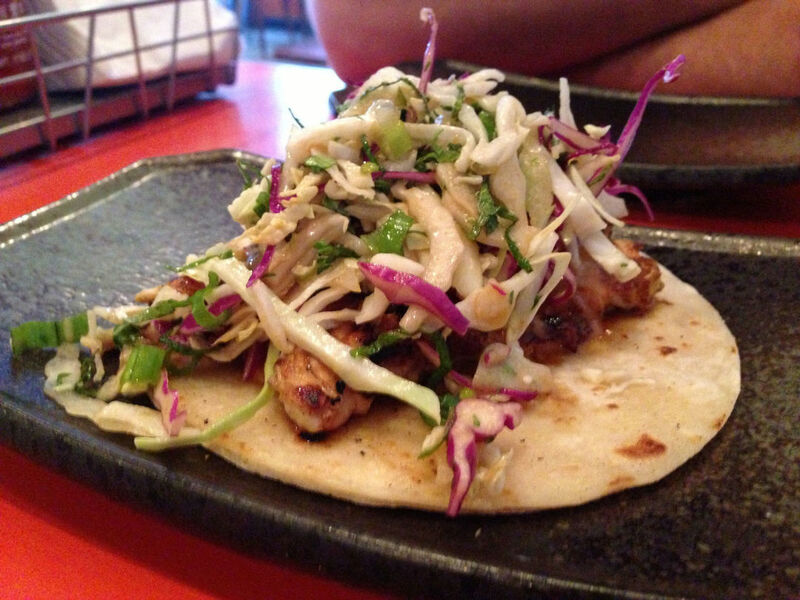 Yesterday afternoon, I received an email from a friend letting me know that Fusion Taco was finally open. I'd mostly forgotten what I'd written exactly between mid April and late July except that it wasn't complimentary. But I hadn't had the opportunity to try Fusion Taco in years and, as is often the case in my life, the opportunity for novelty superceded any thoughts of apprehension or uneasiness at dining—in this case—in a restaurant I'd thoroughly insulted. So it was with Fusion Taco, where I hoovered my way through an assortment of five tacos (and one salad), every one better than the last. Had I more thoroughly recalled my harsh words, I may not have eaten there. But I'm glad I did. There's nothing better than being proven wrong in the positive. I truly believe that. It's a humbling reminder that you aren't always right, that second (and third and fourth) chances are worth giving, and that—in the case of Fusion Taco—revenge is a dish best served delicious. Although the restaurant was already sold out of its rock shrimp tacos, my dining partner and I were able to try the nearly all of Fusion's taco line-up: Angus steak with black beans, a red cabbage slaw, and ginger-chipotle barbecue sauce; Chinese barbecue Berkshire pork with a roasted corn salsa; beef short rib vindaloo, slow-cooked for a day, and served with a raita and cucumber-tomato relish; agedashi tofu with a wasabi aioli; and grilled chicken satay with a red cabbage slaw and a peppery peanut sauce. 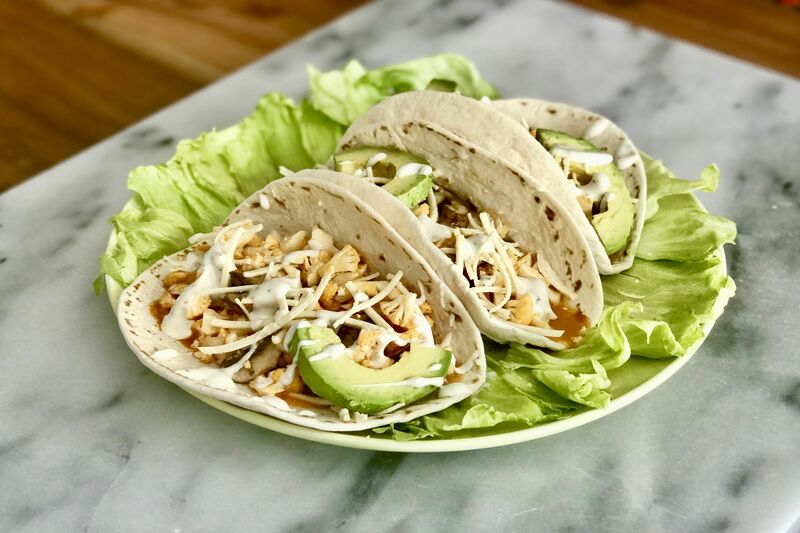 Where Fusion Taco succeeds is by offering a slate of altogether different tacos with clear, vibrant flavors that immediately speak to the origins of the ingredients tucked into the soft corn tortillas. There was no confusing the black pepper-and-peanut-laced slaw on the chicken satay taco with the ginger-chipotle-tinged slaw on the steak taco. There was no confusing the curry-scented beef short ribs with the Latin-inspired Angus steak. The agedashi tofu looked and tasted just like the dish you'd receive at a Japanese restaurant, but kicked up with a spicy wasabi aioli that made it my favorite of the evening. 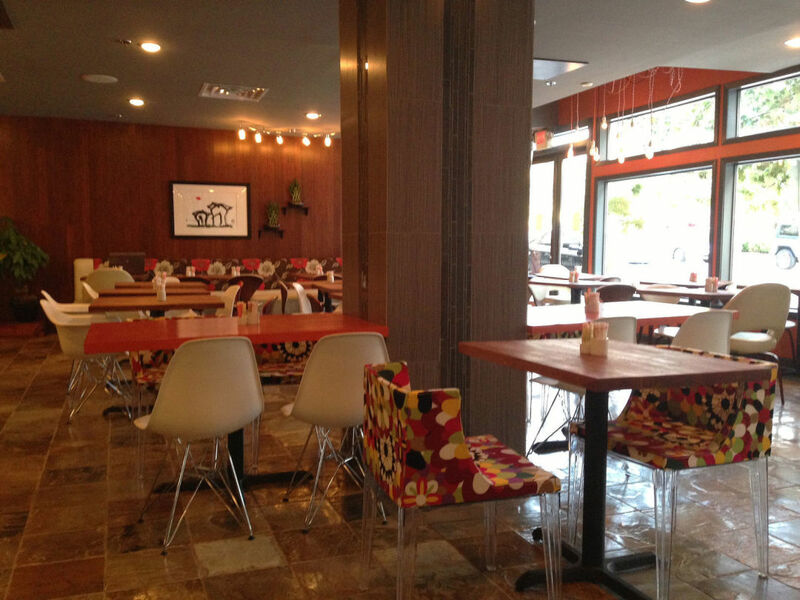 This is the area in which places like Torchy's Tacos fail, by serving tacos that all muddle and mesh together. 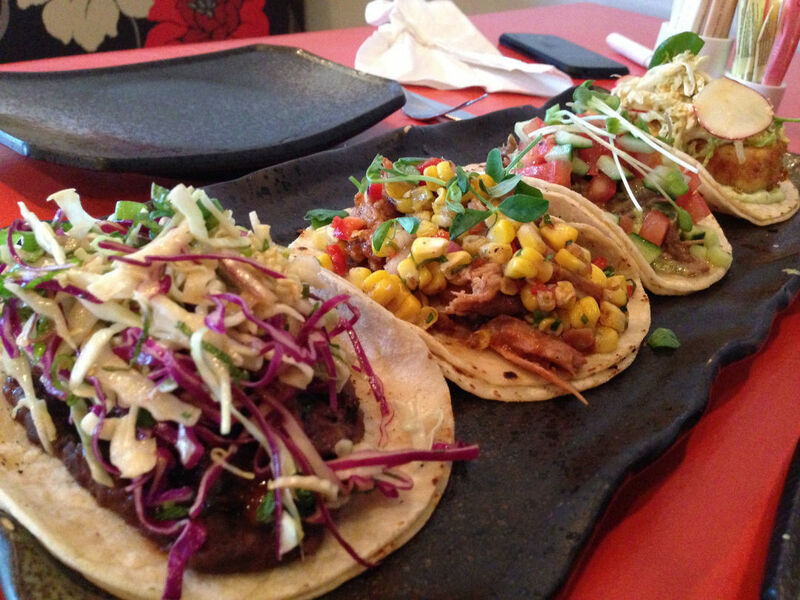 Despite overlapping ingredients, each of Fusion Taco's examples stood brightly apart from one another. The tortillas themselves were also excellent—warm and malleable without falling to shreds as they cooled and soaked up the juices from the tender Berkshire pulled pork. 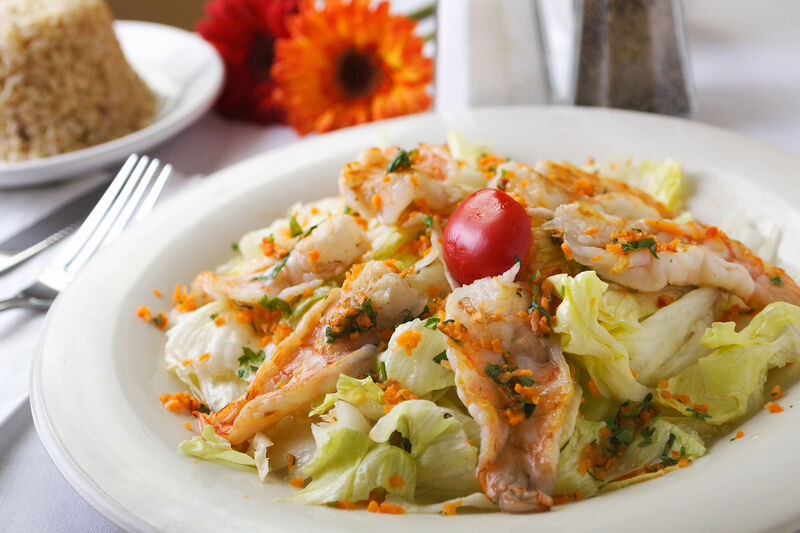 The prices are also smartly set here, and will no doubt prove attractive to business lunch crowds and casual evening diners alike. 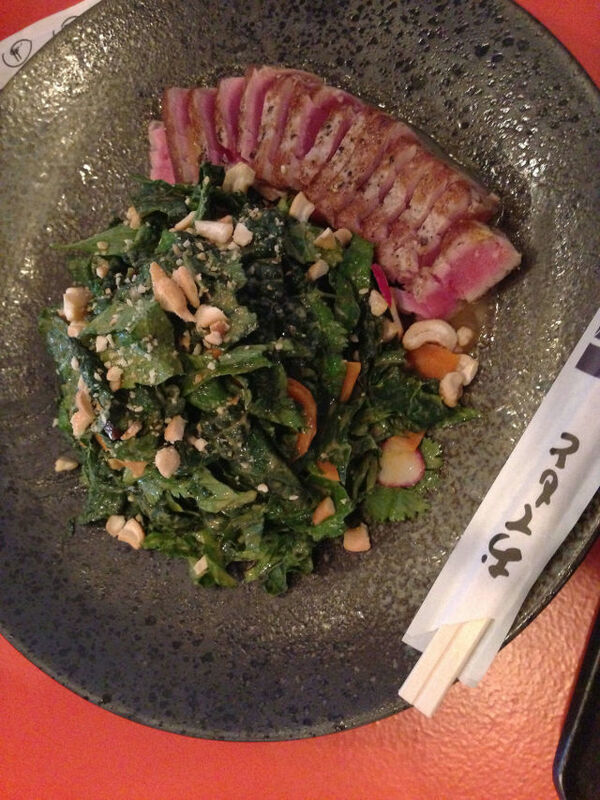 The most expensive tacos on the menu are only $3.40, and the kale salad we finished with—while $12—proved an exceptional value, stacking a beautifully seared ahi tuna loin alongside a dark green mountain of greens, radishes, and other vegetables in a tangy, spicy peanut sauce. 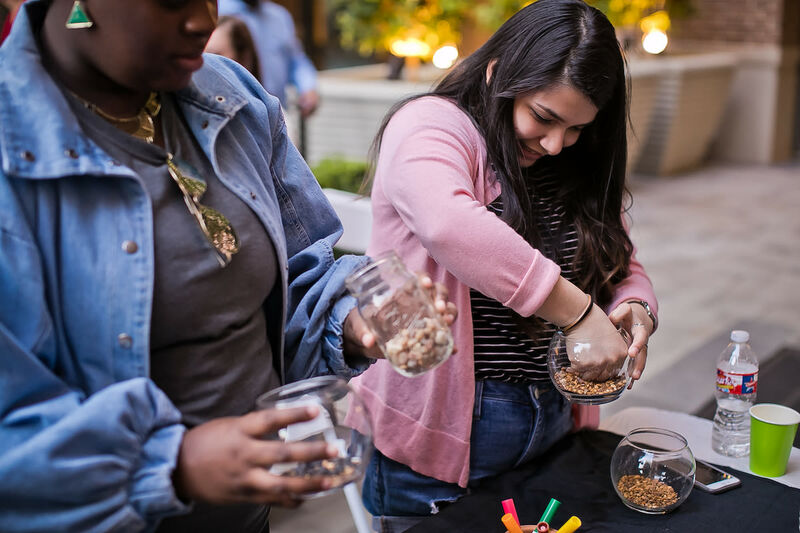 Fusion Taco is still waiting on a permit for its patio to come through, at which point it plans to install planters, chairs, tables, and umbrellas—and plans to welcome dogs, as well. If my own dog weren't such a high-strung ball of nerves, I could see the perfect evening unwinding with dinner at Fusion Taco, a run in the dog park across the street at Market Square Park, and dessert at Niko Niko's before calling it a night. Either way, it's a welcome thing to have another fast-casual concept in the quickly-growing area that straddles the line between picnic-chic at Niko Niko's and more upscale sit-down dining as found at nearby Hearsay or Batanga. And it's a welcome thing to admit that I was wrong—sort of. 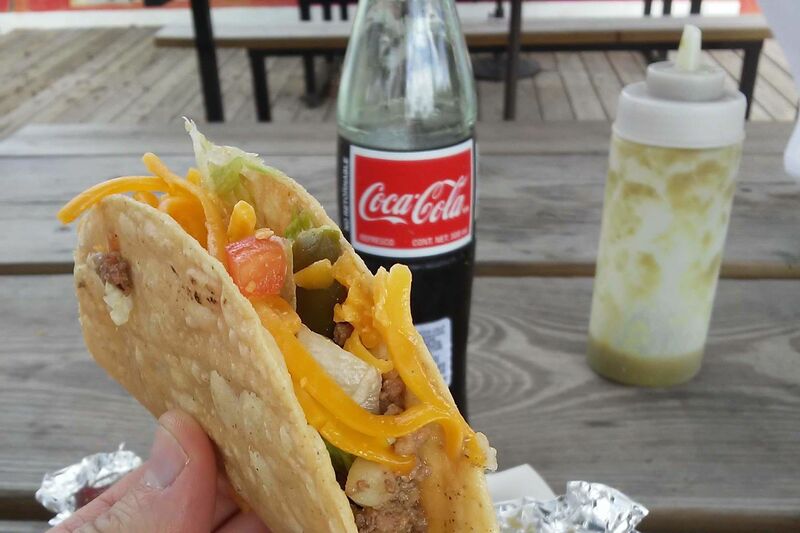 A brick-and-mortar location does suit the taco-slingers better, after all.